The suspect accused of possessing a homemade bomb in his Nash Road apartment will appear in court Thursday for a preliminary setting. Ansley A. Godoy, 31, has a preliminary setting scheduled for 2 p.m. Thursday at the San Benito County Courthouse. At the hearing, a judge will schedule the crucial preliminary examination where it’s decided if there’s enough evidence for a trial. 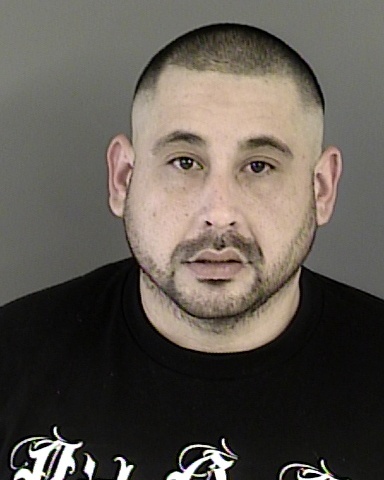 The San Benito County District Attorney’s Office has levied two felony and two misdemeanor charges against the Hollister man. Prosecutors on Jan. 16 charged him on suspicion of possessing a destructive device in a public place and manufacturing a deadly weapon – zip gun, both felonies. The D.A. also charged him on suspicion of possessing a controlled substance and possessing paraphernalia, both misdemeanors. The destructive device charge alone could get him up to six years in prison, according to the penal code, with three years as the maximum penalty for the zip gun charge. 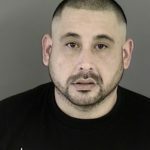 After Godoy’s arrest, the sheriff’s office recommended charges to the district attorney of possession of an explosive in a home, manufacturing or possessing a zip gun (an improvised firearm), possession of a controlled substance, and possession of unlawful paraphernalia, according to booking records. Godoy has been in custody with bail listed at $100,000 for the explosives charge. Godoy turned himself in Jan. 14, three days after authorities found and detonated a homemade bomb they say came from his apartment in the 700 block of Nash Road. Authorities initially believed Godoy may had fled to the Modesto area. He showed up in the sheriff’s office lobby to turn himself in. Sheriff’s deputies served a search warrant at his home in the 700 block of Nash Road on Jan. 11 and found a homemade explosive. The local sheriff’s office called in contracted help from the Monterey County Sheriff’s Office Bomb Squad, which detonated the bomb that morning in a field at the corner of Nash Road and Homestead Avenue. Godoy had been living in the apartment building with his mother about a block or two from the San Benito High School campus. Authorities said his mother had been cooperative. The sheriff’s office emphasized that San Benito High School was not in danger at anytime, although the edge of the campus was about a block and a half from the field at Nash and Homestead where authorities detonated the bomb, which let off a jolting noise in the neighborhood.